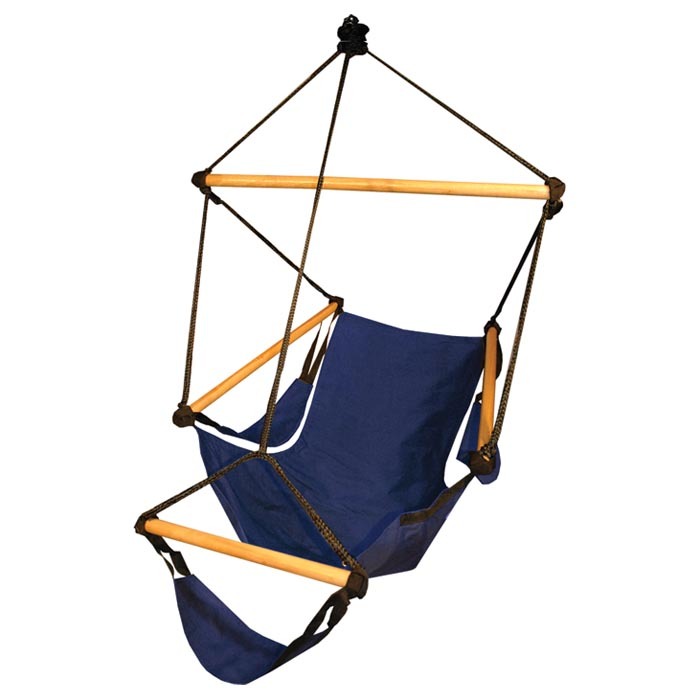 "Based on the same wrap around design of the Hammaka Hammock Chair, the Hammaka Cradle Chair offers a zero-gravity feel with a zero-gravity price. Made with sturdy hardwood dowels and UV protected strong polyester, this chair is made to withstand the elements and still look good at the end of the day. Features: Detachable armrests and footrest. Wt capacity: 350 lbs. "